There really is little time left to acquire one of these lovely hand painted, professionally mounted pictures. All profits go to charity! The countdown is upon us. You now have days left to acquire one of these lovely hand painted, professionally mounted pictures. 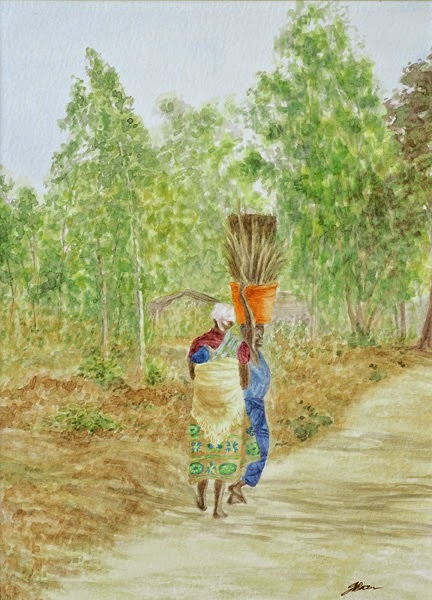 This is a 37cm x 45cm framed watercolour painting, inspired by a photograph captured during the charitable expedition to Malawi. Jane was amazed by the stamina of the villagers making their arduous daily walk home laden with crops. This painting is currently up for auction with all profits after framing and materials will be donated to the 'Returning ‘Vision’ Charity. We also have limited numbers of mounted prints 40cm x 50cm (to fit standard frame) Priced at £39.00. Collection strongly advised for both the originals and the mounted prints, delivery can be arranged strictly at the buyers own risk and expense. 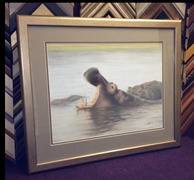 This is a 53cm x 43cm framed pastel painting on velour, inspired by a photograph captured during the charitable expedition to Malawi. 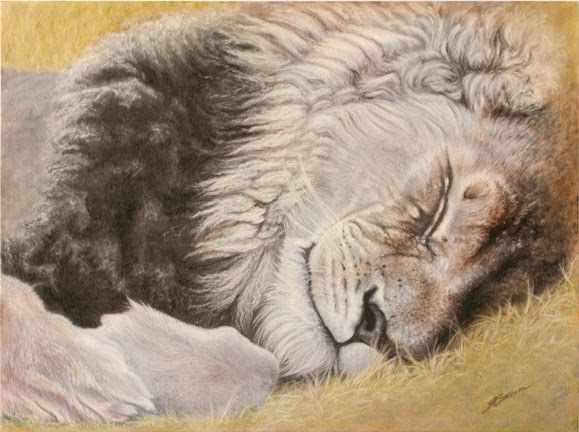 The thought that went through Jane's mind whilst painting this picture, was how peaceful he looked but how different things would be if he were to wake. 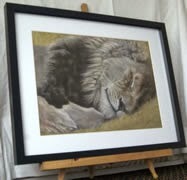 We also have limited numbers of mounted prints 50cm x 40cm (to fit standard frame) Priced at £39.00. This is a 65cm x 55cm framed pastel painting, inspired by a photograph captured during the charitable expedition to Malawi. 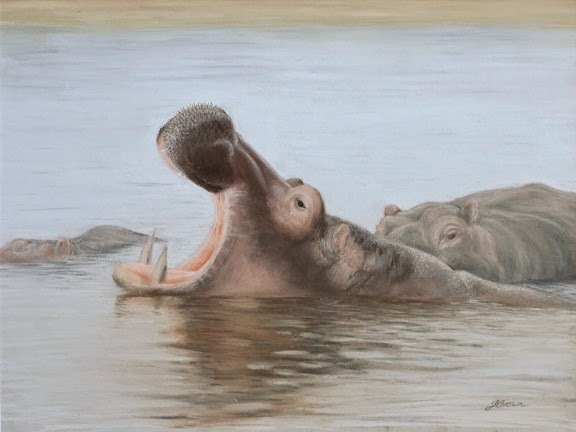 Jane was intrigued by the calm reflections despite the hippos wallowing through the water. The artist reserves the right to withdraw paintings at any point prior to the end of the auction. 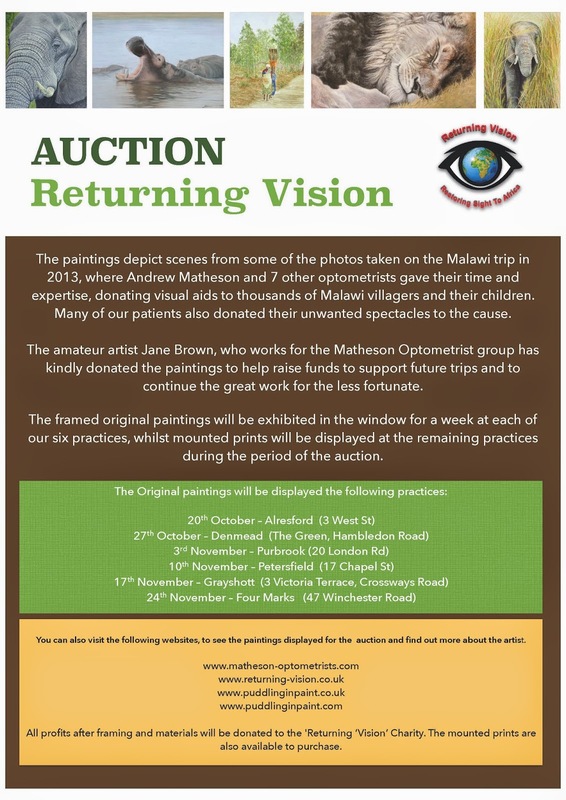 This is a 43cm x 55cm framed coloured pencil painting, inspired by a photograph captured during the charitable expedition to Malawi. 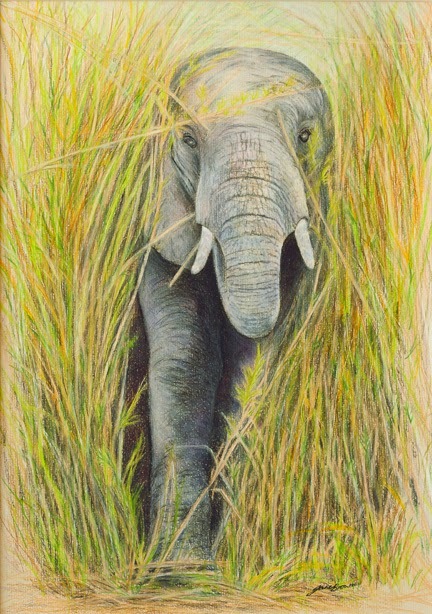 Jane could imagine the pounding on the ground as the elephant pushed his way though the bamboo with the greatest of ease. This is a 52cm x 68cm framed acrylic on canvas painting, inspired by a photograph captured during the charitable expedition to Malawi. 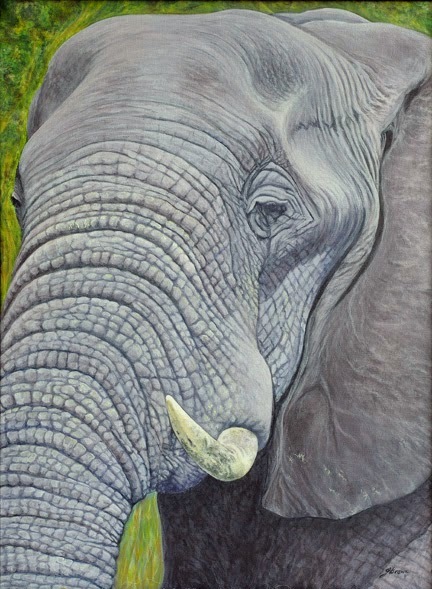 Jane was overwhelmed at the sheer scale and scale of the Elephant and hopes this is expressed in the painting. 1. Treatment with human-embryonic stem cell-derived (hESC-derived) retinal pigment epithelium led to improved visual acuity and vision-related quality-of-life measures for patients with age-related macular degeneration and Stargardt’s macular dystrophy. 2. No evidence of serious ocular or systemic safety issues, adverse proliferation, or rejection related to the hESC-derived tissue was observed, suggesting hESC-derived cells could provide a safe tissue source for medical disorders arising from tissue degeneration. Study Rundown: HESCs are a potential therapeutic source of cells for diseases caused by tissue loss. Despite this potential, their capacity for self-regeneration raises safety concerns. Degeneration of the retinal pigment epithelium in age-related macular degeneration and Stargardt’s macular dystrophy is currently untreatable. This study investigated tolerability and safety of hESC-derived retinal pigment epithelium in patients with Stargardt’s macular dystrophy or age-related macular degeneration by surgically introducing hESC-derived retinal pigment epithelium in differing doses and measuring visual outcomes during follow-up. Eight of 18 patients experienced improved visual acuity of at least 15 letters within the first year after surgery, corresponding to a clinically significant doubling of the visual angle. Participants also reported improvement in near and distant activities, general vision, and peripheral vision as measured with the National Eye Institute Visual Function Questionnaire 25 subscales. Additionally, hESC-derived cells were well tolerated for up to 37 months after transplant. Though this is the first report of safety and tolerability after transplantation of cells derived from pluripotent stem cells in individuals with any disease, results may be subject to placebo effect and examiner bias inherent in non-blinded study design. This study was funded by Advanced Cell Technology. In-Depth [prospective phase 1/2 clinical trial]: This study investigated the tolerability, safety, and efficacy of hESC-derived retinal pigment epithelium in patients with either age-related macular degeneration or Stargardt’s macular dystrophy. Nine patients with Stargardt’s macular dystrophy and nine patients with age-related macular degeneration were evenly divided into three dose-cohorts (dose group 1, 50,000 cells; dose group 2, 100,000 cells; and dose group 3, 150,000 cells). Patients were given immunosuppression therapy consisting of tacrolimus and mycophenolate mofetil for one week before the procedure and for 12 weeks after. Serial ophthalmic, physical, and laboratory examinations were done for a median follow-up of 22 months. 13 (72%) of 18 patients had an increase in subretinal pigmentation after surgery. In patients with age-related macular degeneration, at 12 months the median difference in change in visual acuity from baseline between treated and untreated eyes that did not have ocular surgery or develop cataracts was eight letters (range 4-23) for dose group 1, eight letters for dose group 2, and 15 letters for dose group 3. This result was significant (p=0.0117). The median difference in change in patients with Stargardt’s macular dystrophy was nine letters (range 9-9) for dose group 1, two letters (range 0-10) for dose group 2, and five letters for dose group 3. This difference was not significant due to limitation in sample size. No evidence of growth of transplanted tissue at the injection site suggestive of teratoma or ectopic tissue, adverse proliferation, or adverse safety issues related to the hESC-retinal pigment epithelium was demonstrated in any patient during the observation period. Four eyes developed visually significant progression of cataract requiring surgery, in one patient with age-related macular degeneration, and three with Stargardt’s macular dystrophy. Additionally, one patient developed acute postoperative endophthalmitis. We have been asked by a member to clarify the risks associated with using Tea Tree Oil (TTO) to treat Demodex blepharitis and how to use it safely. Demodex infestation of the lash follicles and the eyelid glands is fairly common and may contribute to the pathogenesis of some cases of chronic lid margin and ocular surface inflammation and Meibomian gland dysfunction. Although TTO has been shown to be effective in reducing Demodex populations, its use in ocular demodecosis was given a weak recommendation based on low quality evidence for its clinical effectiveness and the potential for harm. Furthermore, because it is known that 50% TTO can be toxic to the ocular surface, the College Clinical Management Guideline on blepharitis recommends that only experienced practitioners should carry out this particular treatment. Great care is needed in the use of strong preparations of TTO, so that only lid tissue is treated, and afterwards the lid margins should be carefully wiped with dry cotton buds in order to remove residual TTO. View this newly released advice. 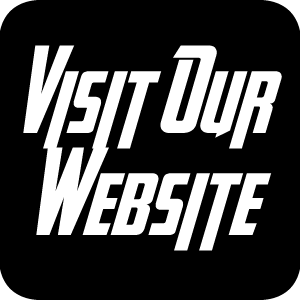 View our Clinical Management Guidelines. Researchers have uncovered four new genes linked with glaucoma, which suggest the involvement of lipid metabolism and corneal thickness in the development of the disease. The findings could be used to help identify those at risk of developing the condition. By analysing differences between people’s genomes, an international group of researchers has uncovered four additional genes linked with glaucoma, variations in which may make an individual more likely to develop the condition. The research, published in the journal Nature Genetics, looked at almost 36,000 people to find genetic markers related to intraocular pressure (IOP). One of genes discovered to be associated with IOP was ABCA1, which plays a role in maintaining cell membranes by regulating lipid and cholesterol metabolism. This, say the researchers, points to the metabolism of lipids as a key pathway in the development and progression of the disease. The studies come from 18 population cohorts from the International Glaucoma Genetics Consortium (IGGC), which includes groups from the EU, US, Australia and Asia. 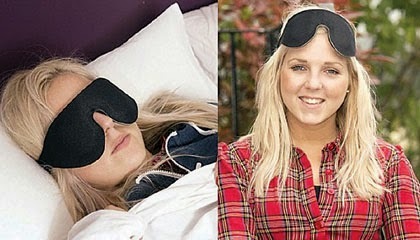 A mask that shines green light into the eye during sleep could save the sight of thousands of Britons facing blindness. Diabetic retinopathy, one of the main causes of vision loss in people of working age in the UK, occurs when high blood-sugar levels damage the blood vessels in the retina. The condition causes the vessels to swell and leak fluid or close off completely, and sometimes causes abnormal vessels to appear on the surface of the retina. 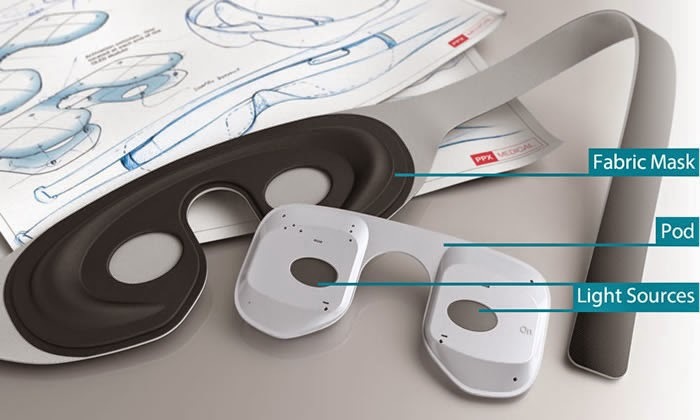 The Noctura 400 eye mask, which patients wear at night while they sleep, emits a low-level green light through the eyelids which mimics daylight. Although the light initially appears bright, the eyes quickly adjust. The mask interferes with the process that usually causes the eye to produce new blood vessels when it gets dark. While this tissue growth is beneficial for those people without diabetes, in those with diabetic retinopathy it increases the production of smaller blood vessels prone to damage and swelling which contribute to loss of vision. Until now, diabetic retinopathy has been treated with lasers, which can help to seal broken blood vessels and destroy damaged ones. But three per cent of patients experience some loss of peripheral vision and more than half will have some difficulty with night vision as a ‘side effect’. In about a third of patients, the treatment won’t work at all and these patients may go on to have injections into the eye of a drug called Lucentis. The injections are carried out under local anaesthetic at a cost of £1,000 each. They have to be given once a month for at least six months, and in most cases they are less effective as time goes on. The Noctura 400 is currently being evaluated by rationing body the National Institute for Health and Care Excellence, and trials are under way in teaching hospitals including Moorfields in London. The plan is for the technology to be rolled out to the NHS next year. According to Professor Ian Grierson, a trustee of Moorfields Eye Hospital and professor of ophthalmology at the University of Liverpool, who is involved in running the trials and research into the mask, as many people as currently benefit from laser surgery could stand to benefit from the new device. ‘I envisage it being used as a first-line defence for patients who are in the early stages of diabetic retinopathy,’ he says. ‘The eyes of diabetic patients are closely monitored through annual checks, which aim to pick up the early stages of diabetic retinopathy. Prof Grierson believes the mask could also be used as a last resort for patients for whom laser therapy hasn’t worked and for those patients who want an alternative to unpleasant injections. Type 1 diabetes occurs when the pancreas fails to produce insulin, the hormone that regulates blood sugar levels. It can be controlled with regular insulin injections, but if left untreated a build-up of glucose can cause damage to the small vessels, nerves and organs. One type 1 diabetes patient currently testing the mask is Ella Woodhouse, 22. She started using it last week, having already undergone laser therapy and injections. 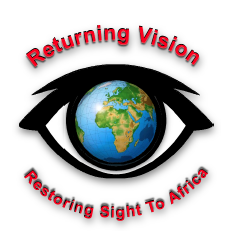 Earlier this year she started suffering blurred vision and then, to her horror, lost sight in one eye temporarily due to a burst blood vessel. Every three months for a year, ophthalmologists will monitor her eyes and find out if their condition has deteriorated further. 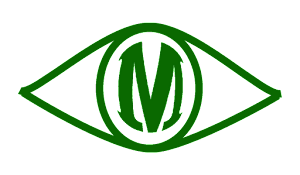 PolyPhotonix, the company that invented the mask, is also looking to start trials for treating age-related macular degeneration of the eye. This is also caused by the growth of abnormal blood vessels on the retina and is the biggest single reason for loss of eyesight in the elderly. 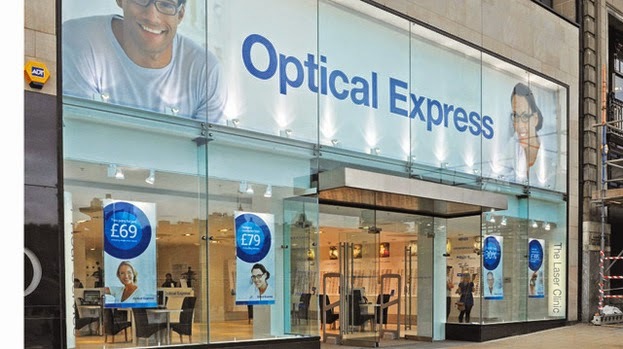 Optical Express failed to properly inform a young woman of the risks of laser eye surgery then spied on her in a bid to prove she was lying about how damaged her eyesight was. Stephanie Holloway's eyes were so sensitive to light following the operation to correct her short-sightedness she was forced to wear sunglasses everywhere and light her home with candles. But the 28-year-old from Lee-on-Solent, Gosport, was followed by private investigators hired by the company in a bid to dismiss her complaints that the surgery had ruined her life. The High Street chain was ordered to pay more than £500,000 in damages for the mistake at Central London County Court. Miss Holloway had been 'enticed' into a branch an Optical Express branch in Southampton in 2008 after seeing an advert on television for eye surgery which claimed it cost £395. But when she contacted the company, they quoted her a price seven times as high. In the end she paid £2,790 for the procedure. Despite her reservations, Miss Holloway was coaxed into getting the surgery by an optometrist who, the court heard, said he had had the procedure himself and his eyesight was 'brilliant'. Confidential guidance the chain had given to its staff encouraged them to tell customers they were 'in excellent hands' and to 'reduce price objections' with encouragement. After paying a £200 deposit, she waited for five hours for her first appointment with a surgeon who was 'extremely busy'. Dr Joanna McGraw said though she had little memory of their meeting, she would have warned Miss Holloway that hers was a difficult case and that surgery might not necessarily correct her problems. But the judge insisted there was 'no way' the woman could have given Miss Holloway all the relevant information in that small of a time. An hour before her surgery, she was told to sign a consent form which was inappropriate, according to the judge who said: 'That is not how things should be done'. 'It was like a conveyor belt. I was under a lot of pressure. The lady did not leave my side, I was literally told to sign the form and I did what I was told,' Miss Holloway told the court. After the operation the woman said that 'everything was hazy' and she felt 'sick and shocked'. She went back to the branch and was told by an optometrist not to be concerned and to keep taking the drops. She was forced to use candle light in her home, because electric lights were too bright for her to bear, and can only sometimes manage to read large print. After having to rely on friends to take her to buy food and run errands for fear of falling, the former book dealer said she thought life was 'hardly worth living'. The court heard Optical Express used private detectives to covertly film her over three days in August to try and dispel her claims. They followed the woman driving her car, shopping at a supermarket and even through the windows of her own home. Ruling both Optical Express and Dr McGraw liable to pay full compensation, the judge said Miss Holloway had at no point been given sufficient information about the risks of the surgery and possible complications in order to give ‘informed consent’. The company was told to pay a total of £569,287, including £30,000 for Miss Holloway’s ‘pain and suffering’ and over £400,000 for her lost earnings.